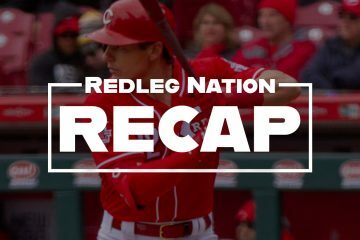 The Cincinnati Reds (23-43) will play a quick two game series tonight at 8:15 PM on the road against one of the only two teams in the MLB with a worse record. The Kansas City Royals (22-44) are far removed from the team that won the World Series just three seasons ago. They have lost 7 of their last 8 games, The Royals offense has been bad all year, but they have only scored 11 runs in their last 6 games. It is nice to hear about another team that stinks. 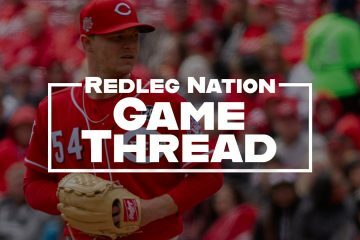 HowÃ‚Â Sal RomanoÃ‚Â still has a spot in the Reds rotation is a miracle at this point with Robert Stephenson pitching well at Louisville, and Amir Garrett dominating in the bullpen. Romano has a 10.72 ERA over the last 30 days (5 starts). Tonight will be the first time Romano has faced any of the Royals hitters. Ian KennedyÃ‚Â is one of those mediocre pitchers that just keeps chugging along. He is now in his 12th big league season. He is far removed from the pitcher who finished 4th in the Cy Young voting in 2011, but he keeps finding a way to make 30 starts every year. Kennedy has dominated the Reds over the course of his career, posting a 2.33 ERA in 7 career starts. However, he hasn’t faced the Reds since 2015. Joey Votto gets a day off from the field.Ã‚Â This is only the second time in Votto’s career that he has been the DH. The only other time came on June 18th, 2016 against the Houston Astros. Duvall at first . Somebody called it the other day. Nice call. Two terrible pitchers tonight. This was an easy call. I said it either or on Twitter but a gazillion folks were also thinking the same I’m sure and some others probably said it too. What I dislike most about Barnhart batting second is that it drops Suarez to fifth. That’s too late in the order for one of our best hitters. Please bat Eugenio second (in part to break up all the lefties). I’d rather see Votto 2nd, Geno 3rd, and Scooter 4th….since Votto is still getting on base but not driving anybody in, while Scooter and Geno are delivering all of the men aboard these days. I’d hesitate to put Votto on base in front of people who run fast. Stephenson hasn’t been doing well in L-Ville his last 2 starts. 9-1/3 innings, 7 earned runs, 8 walks, 9 k’s. This is pitching well? Stephenson has provided his usual up and down performances. Well IÃ¢â‚¬â„¢m sure everybody is hoping for Jose Peraza start a new hitting streak. Plus, IÃ¢â‚¬â„¢d really like to see Romano pitch a no-hitter. The one game I go to in four years and Votto doesn’t play. Oh well, at Applebee’s in KC right now and I’m sitting behind another Reds fan. At least there will be two of us there tonight. Wife is from Kansas so she is a Royals fan. At least Winkers starting. Go Reds! P.S. Big Sal, I’m going to the game tonight please don’t stink. Oh, I kind of misread the above quote. Votto is still hitting just not playing the field. I feel much better now. Okay, SEAT101, I’ll play (guess who will go for the cycle). Most probable would be Scooter Gennett. Least probable would be Billy Hamilton. I will say Eugenio Suarez. IÃ¢â‚¬â„¢m putting my money on you Eugenio Suarez. I would like to see Mike Trout manning Centerfield for the Reds. That has a better chance of happening than Romano ever throwing a no hitter. If Scooter’s results last season & this season are worthy of a new deal here in Cincinnati, then it’s reasonable to say he’s worth Alex Verdugo in trade to the Dodgers, whose 2B men are putting up abysmal numbers. Throw in BH for Will Smith and you have a deal only an aggressive FO would love. Oh, I forgot our favorite team has a FO whose actual aggressiveness is measured in a tortoise like pace. Schebler starts in CF until Trammell, Friel or Siri emerge. Verdugo in RF with his rocket arm. SenzelÃ¢â‚¬â„¢s comes up to start at 2B and lead off. Verdugo bats second. ItÃ¢â‚¬â„¢s time for this offense to take off with these table setters. Wait. There’s a team worse than the Reds? I can’t believe it. Oh, and that double play he just hit into is another reason I don’t like Barnhart batting second. Jose…chicks dig the long ball. Only opponents dig your 220 ft cans of corn! He gotta go. Billy gotta go. Trade them for a six pack and it doesn’t have to be cold! Senzel 1-2 and 14-39 (.359). Stick him in the Reds lineup somewhere? Give the hundreds of fans still following this team a reason to watch! I wonder how many times this season the top five spots in the lineup will be occupied by the team’s five best hitters. I think maybe it’s happened two or three times so far. Tucker is a nice hitter, but he should be hitting 6th with this group. He’s too small. He’s good defensively, but he’s playing wayyyyy too much. They could use a big guy that can hit some HRs…maybe Casali will pan out? Tucker should be batting 7th where he was and getting about 350 atbats at most. Agree! And I’ve liked what I’ve seen from Casali’s bat. His catching? Not so much. Sal Romano made it into the 7th inning. SAL ROMANO EVERYBODY!!!! Can’t tell you how many full counts he had. Nice to see Romano go 7 and give up only 1 run. Haven’t seen the whole game, so I don’t know how he looked, but statistically, it’s in the top five Reds starts all year. Hope they can score and pull it out for Romano. Like to think this is a turning point for Romano. Unfortunately, I believe this is the result of two BAD teams facing each other. Announcers keep going on about length of this start. Lots of balls are homers in any other park or driven in gaps by better teams. If Reds played Orioles, Royals, or ChiSox every night of course they would have a better record. Have to compete with the best. Sal, in perhaps his last start before getting sent to AAA, pitches a gem. Baseball is a funny game. How much longer must we be sunected to having to watch Adam Duval? Time to cut him and bring up someone with a future. He has no trade value left what so ever. Let it go. Release Hamilton now. Just plain dump him. Just release Hamilton now. What good is he? We had to wait until extra innings, but this is the type of baseball befitting of 2 teams “battling” for the first overall pick in the draft. Ok. I get it now. 1st pick? Keep Duvall and Hamilton. Guaranteed to bring results that will entitle the Reds to that lofty goal.